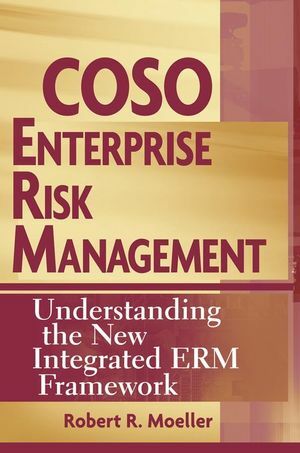 "COSO ERM is a thoughtful introduction to the challenges of risk management at the enterprise level and contains a wealth of information on dealing with it through the use of the COSO framework. Detailed procedures covering a wide variety of situations are followed by a thorough explanation of how each is deployed. As a project management professional, I appreciate how the author addresses the need for risk management at a project level. His background as someone who 'practices what they preach' and realizes the impact of the Sarbanes-Oxley auditing rules comes through clearly in the book, and it should be mandatory reading for anyone seeking to understand how to tackle their own ERM issues." "This volume clearly and comprehensively outlines the usefulness of COSO Enterprise Risk Management guidance. It should provide considerable benefit to those having governance responsibilities in this important area." Today's companies are expected to manage a variety of risks that would have been unthinkable a decade ago. More than ever, it is vital to understand the dimensions of risk as well as how to best manage it to gain a competitive advantage. COSO Enterprise Risk Management clearly enables organizations of all types and sizes to understand and better manage their risk environments and make better decisions through use of the COSO ERM framework. COSO Enterprise Risk Management is the invaluable working resource that will show you how to identify risks, avoid pitfalls within your corporation, and keep it moving ahead of the competition. Robert R. Moeller, CPA, CISA, CISSP, is an internal audit specialist and project manager with a strong understanding of information systems, corporate governance, and security. He has over twenty-five years of experience in internal auditing, ranging from launching new internal audit functions in several companies to serving as audit director for a Fortune 50 corporation. He held positions with Grant Thornton (national director of computer auditing) and Sears Roebuck (audit director). A frequently published author and professional speaker, he provides insights into many of the new rules impacting internal auditors today as well as the challenges audit committees face when dealing with Sarbanes-Oxley, internal controls, and their internal auditors. Chapter 1. Importance of Enterprise Risk Management Today. COSO Risk Management: How Did We Get Here?. COSO Internal as a Recognized Standard. Chapter 2. Risk Management Fundamentals. Risk Management Fundamentals Going Forward. Chapter 3. Components of COSO ERM. ERM Definitions and Objectives: A Portfolio View of Risk. Other Dimensions of the ERM Framework. Chapter 4. COSO ERM Organization Objectives. COSO ERM Entity and Unit Level Risks. Chapter 5. Implementing an Effective ERM Program. Roles and Responsibilities of an Enterprise Risk Management Function. CRO and an Effective Enterprise Risk Management Function. Chapter 6. Integrating ERM with COSO Internal Controls. COSO Internal Controls: Background and Earlier Legislation. COSO Internal Controls and COSO ERM Compared. Chapter 7. Sarbanes-Oxley and COSO ERM. Chapter 8. Importance of ERM in the Corporate Board Room. Board Decisions and Risk Management. Board Organization and Governance Rules. Audit Committee and Managing Risks. Establishing a Board-Level Risk Committee. Audit and Risk Committee Coordination. COSO ERM and Corporate Governance. Chapter 9. Role of Internal Audit in ERM. Internal Audit Standards for Evaluating Risk. COSO ERM for More Effective Internal Audit Planning. Risk-Based Internal Audit Findings and Recommendations. COSO ERM and Internal Audit. Chapter 10. Understanding Project Management Risks. Project-Related Risks: What Can Go Wrong. Implementing COSO ERM for Project Managers. Establishing a Program Management Office (PMO). Chapter 11. Information Technology and ERM. IT and the COSO ERM Framework. Effective IT Continuity Planning Worms, Viruses, And System Network Risks. IT and Effective ERM Processes. Chapter 12. Establishing an Effective Risk Culture. First Steps to Launching the Culture – An Example. Promoting the Concept of Enterprise Risk. Building the COSO ERM Culture: Risk-Related Education Programs. Keeping the Risk Culture Current. ERM "Standards" Versus an ERM Framework. Convergence Of Risk Management Standards And Practices. Chapter 14. COSO ERM Going Forward. Future Prospect for COSO ERM. Learning More about Risk Management.